Use the search engine to find whatever you want: it comes along with a built-in tool to search for any of the channels available, forgetting about their categorization. Adjust the options to customize the channel offer: the options menu allows us to establish a customized channel offer. Thus, we can remove all those tabs we’re really not interested in (for instance, if we only wanted to watch American channels) or bookmark our favorite ones without removing any others. In turn, it allows us to carry out other options such as locking the app with a password or locking the options menu so that nobody else can change them. We can also choose the streaming quality whenever this options is available. 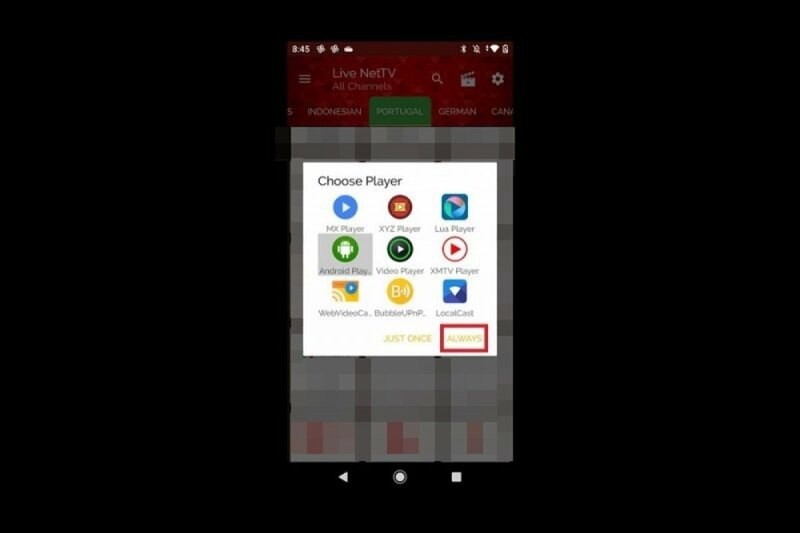 Choose a player: Live NetTV doesn’t offer us the possibility to play these channels from the app so what we have to do is send the signal to a multimedia player that supports streams. When you press on any channel, unless you’ve configured a default player, you’ll be able to choose between several of them. Just choose your favorite one which you’ll have to download if you haven’t got it yet.